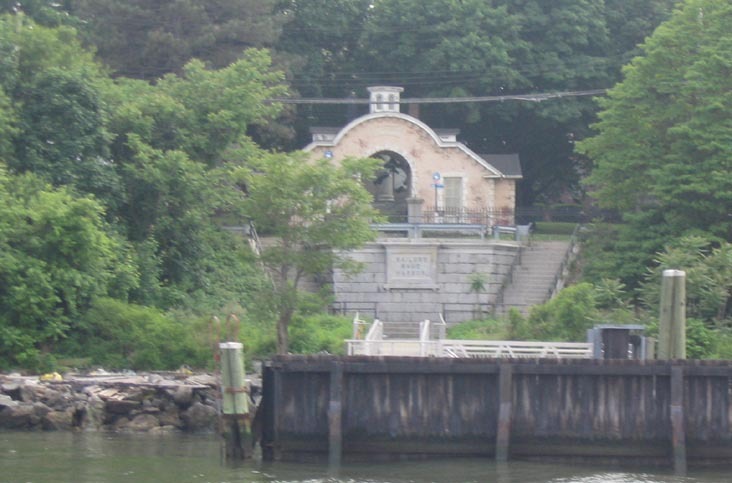 Sailors Snug Harbor — or Snug Harbor Cultural Center as its called today — is one of Staten Island’s top attractions, yet few people outside of SI really know much about it. If you recall our enthusiasm for Governor’s Island, the experience is much akin to that, with more gardens, fewer forts and a brunch option. Robert Richard Randall was a sea captain and rich merchant who in 1771 became a member of the Marine Society, a charitable relief fund for seaman and their widows. (His brother drowned off Sandy Hook while returning from the West Indies.) He purchased an area on the outskirts of town — a farm in what is today central Greenwich Village — for the express purpose of “maintaining aged, decrepit, and worn-out sailors.” He died in June 1801 but due to the haggling of inheritors, the instructions of his will were not carried out, partially due to that particular land now being of great value to the rapidly growing city. So the land was rented out, and the funds used to purchase a much more rural environment — on the outskirts of New Brighton, Staten Island, along the shore of the Kill Van Kull (the neck of water between SI and Bayonne). Finally in October of 1831, work finally began on Snug Harbor’s many unique buildings. Even more impressively a regal bronze statue of Randall by no less than Augustus St. Gaudens was planted in a nearby garden. Of course what stands there now is merely a cast of the original St. Gauden’s work; the statue was moved in 1982 to Sea Level, North Carolina when Snug Harbor ceased operations as a sailors’ home. Snug Harbor is a boon for curious architecture seekers, particular the Greek revival style which so dominates the main stretch of buildings. Today the buildings hold museums to nautical life and the building’s original functions as a rest home (more on those tomorrow). The buildings were designed by Minard Lafever and are known as the ‘Front Five’, world renowned examples of this architectural style. What makes them so particularly impressive is their placement upon a broad, expansive campus facing the water, granting the columns a far greater power than if they had been plopped down in midtown Manhattan. Later architectural additions reflect Snug Harbor’s practical applications, using Italian and Victorian styles. Snug Harbor would host 1,000 aged sailors by the year 1900.